Prime Minister of the Republic of Turkey Ahmet Davutoglu made a phone call to President of the Republic of Azerbaijan Ilham Aliyev on April 2. 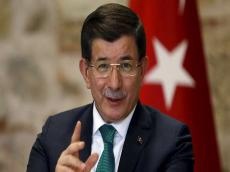 The Turkish Prime Minister extended his condolences over the killing of Azerbaijani servicemen in latest events on the line of contact of the Azerbaijani and Armenian troops. He also offered his congratulations as the Armenian provocation was repulsed, and expressed his support. President Ilham Aliyev reiterated that the Azerbaijani armed forces resolutely repulsed the Armenian provocation on the line of contact and gave a decent response.